OK, hang with me now as together we intrepidly dive into the deep waters of God’s matchless Word, which is profitable for doctrine, reproof, and correction. In this FOD, accompanied by our Lord Jesus, in whose everlasting arms we dwell, we’ll focus on some exhortation and encouragement parts, and it might get a bit uncomfortable. Hey, that’s good, if the “spur” you feel causes you to move forward with The One who died for you. In one sense, I’ll be talking to myself—and you can listen in. I will include quite a bit of very pertinent Scripture, so please do not skim over it, but read it carefully, expecting the Lord to speak to you thereby. In fact, may I suggest that you read this at least twice. “Lavish reception” is, in 2 Peter 1:11, how the Berean Study Bible translates what some other versions render as follows: a “rich welcome” (NIV), a “grand entrance”(NLT), a “triumphant admission” (WNT). Those phrases bring up great mind pictures, don’t they? Trumpets, banners, a cheering crowd, a beaming Father, a proud Lord, and a “crown of glory that does not fade away” (1 Pet. 5:4). “Now he who plants and he who waters are one, and each one will receive his own reward according to his own labor (1 Cor. 3:8). “If anyone’s work that he has built endures, he will receive a reward (1 Cor. 3:14). “Let no one cheat you of your reward…” (Col. 2:18a). “And whatever you do, do it heartily, as to the Lord and not to men, knowing that from the Lord you will receive the reward of the inheritance; for you serve the Lord Christ (Col. 3:23-24). “Look to yourselves, that we do not lose those things we worked for, but that we may receive a full reward (2 John:8). God makes it clear that we should want to live our lives for Him so as to fill up our “RAP(ture) Sheet” with plenty of good works. So, in context, what does He say we can do to secure such a “lavish reception” into the kingdom? 1Simon Peter, a servant and apostle of Jesus Christ, To those who through the righteousness of our God and Savior Jesus Christ have received a faith as precious as ours: 2Grace and peace be yours in abundance through the knowledge of God and of Jesus our Lord. 3 His divine power has given us everything we need for a godly life through our knowledge of him who called us by his own glory and goodness. 4Through these he has given us his very great and precious promises, so that through them you may participate in the divine nature, having escaped the corruption in the world caused by evil desires. 5For this very reason, make every effort to add to your faith goodness; and to goodness, knowledge; 6and to knowledge, self-control; and to self-control, perseverance; and to perseverance, godliness; 7and to godliness, mutual affection; and to mutual affection, love. 8For if you possess these qualities in increasing measure, they will keep you from being ineffective and unproductivein your knowledge of our Lord Jesus Christ. 9But whoever does not have them is nearsighted and blind, forgetting that they have been cleansed from their past sins. 10Therefore, my brothers and sisters, make every effortto confirm your calling and election. For if you do these things, you will never stumble, 11and you will receive A RICH WELCOME into the eternal kingdom of our Lord and Savior Jesus Christ. What an exhortation! First, it is clear that theknowledge of God and of Christ and their promises is an indispensable element in the above equation. You and I have surely been blessed with a great treasure of biblical knowledge, BUT we must apply it so as not to be “ineffective and unproductive” in our knowledge. Some time ago I heard a radio preacher say, “Spiritual growth comes from prioritizing the APPLICATION of Truth, not just knowing it.” We fool ourselves when we assume that just because we have heard the truth, we have internalized it. The proof of that is our acting accordingly in our daily lives, and living Truth as Jesus did. In that vein, let’s review some familiar verses: “This Book of the Law shall not depart from your mouth, but you shall meditate in it day and night, that you may observe to do according to all that is written in it. For then you will make your way prosperous, and then you will have good success” (Joshua 1:8). “Everyone who hears these words of mine and puts them into practice is like a wise man who built his house on the rock” (Matt. 7:24). “Now that you know these things, you will be blessed if you do them” (John 13:17). And a classic section: ”Therefore lay aside all filthiness and overflow of wickedness, and receive with meekness the implanted word, which is able to save your souls. 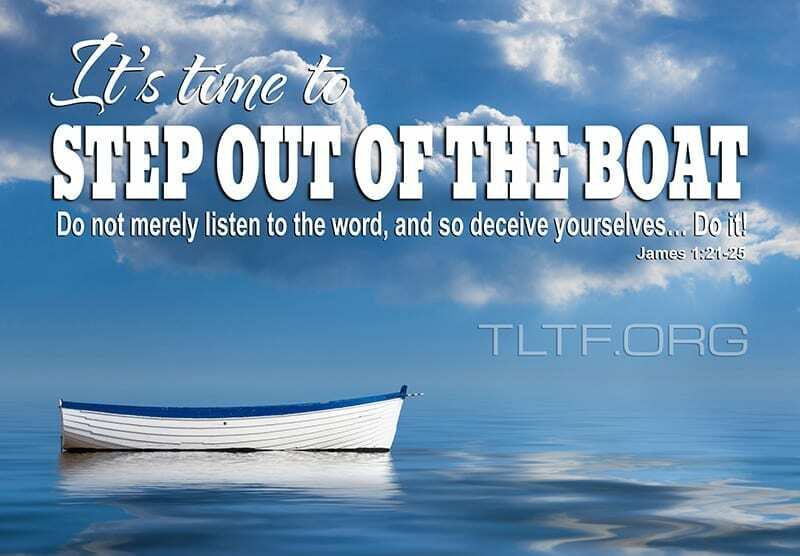 Do not merely listen to the word, and so deceive yourselves. Do what it says. Anyone who listens to the word but does not do what it says is like someone who looks at his face in a mirror and, after looking at himself, goes away and immediately forgets what he looks like. But whoever looks intently into the perfect law that gives freedom, and continues in it—not forgetting what they have heard, but doing it—they will be blessed in what they do (James 1:21-25). And it is LOVE that moves us to action. Lest we be overwhelmed by “all we have to do,” let’s take a breath and remember what Jesus said about the precious but unnamed woman who anointed him with costly perfume oil (Mark 14:3-9) and then was excoriated by the religious hypocrites looking on. After telling them to knock it off, he said, “She did what she could.” How about you and me? Can we do what we can? Duh. And that will look very different for each one of us, depending upon what ministry in the Body we have—and, as I trust you know, we do each have one. And when you “step out of the boat,” the Lord Jesus will provide the power for you to “walk on water.” If you don’t, he can’t. The following verses show us the heart of our Lord, as expressed by Paul, who also longed for each member of the Body to maximize his spiritual potential, both in this life and in the next. 24Now I rejoice in what I am suffering for you, and I fill up in my flesh what is still lacking in regard to Christ’s afflictions, for the sake of his body, which is the church. 25I have become its servant by the commission God gave me to present to you the word of Godin its fullness— 26the Secret that has been kept hidden for ages and generations, but is now disclosed to the Lord’s people. 27To them God has chosen to make known among the Gentiles the glorious riches of this Secret, which is Christ in you, the hope of glory. 28He is the one we proclaim, admonishingand teaching everyone with all wisdom,so that we may present everyone fully maturein Christ. 29To this end I strenuously contend with all the energy Christ so powerfully works in me. WHAT?! Are you telling me that on the glorious day that the Lord Jesus comes to rescue us from this present evil age, I could feel ashamed? Before you start braiding a noose for yourself, chill out and remember that God is love, and that everything He does is totally loving. 1 John 1:9 tells us that whatever sin we now repent of is wiped off our RAP Sheet, never again to be brought up. But God’s pure love requires justice, and justice requires judgment, with an appropriate reward or penalty. Thus it simply cannot be that a Christian who willfully sins without repenting of it will never be held accountable for so doing, and receive the same reward that a committed believer receives. So lets live honestly before the Lord in “day tight compartments” and clean our slate as often as necessary. Looks like a big key to spiritual success is forming good habits, which one dictionary defines as: “an acquired behavior pattern regularly followed until it has become almost involuntary.” As the above verses show, Christianity is a team sport, and none of us can maximize our spiritual potential by ourselves. With whom are you participating in stimulating Christian koinonia? 24By faith Moses, when he had grown up, refused to be known as the son of Pharaoh’s daughter. 25He chose to be mistreated along with the people of God rather than to enjoy the fleeting pleasures of sin. 26He regarded disgrace for the sake of [the Messiah] as of greater value than the treasures of Egypt, because he was looking ahead to his reward. 27By faith he left Egypt, not fearing the king’s anger; he persevered because he saw him who is invisible. See you at the Bema! I look forward to applauding your service to our Lord. I love you. And I hope you can tune in tomorrow night for our monthly “WWF” fellowship. My teaching is titled God & Son, Inc., and it’s a winner!